Terra Income Fund 6 is closed to new investors. A reason to make loans secured by commercial real estate now. Terra 6 expects to pool investors’ capital, make loans secured by commercial real estate on attractive terms, hold those loans until they mature and then distribute principal back to investors. 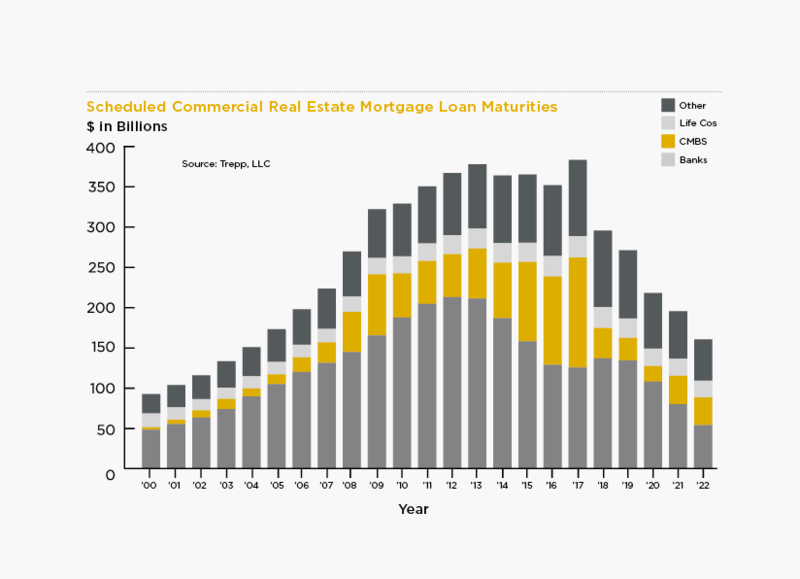 We see two primary drivers creating the favorable opportunities for providing commercial real estate loans: (1) the reduced amount of credit available to borrowers from traditional lending sources, and (2) an increasing number of commercial real estate loan maturities. The availability of mortgage financing is down significantly and currently banks are constrained by regulatory requirements. There is a shortfall between the amount of maturing debt and the amount of new first mortgage debt available. The existing scarcity of financing — which exists for reasons we believe often relate more to the circumstances of the traditional bank lenders than to the borrowers or their properties — provides Terra 6, as an alternative lender, with an immediate opportunity to augment loans provided by traditional lenders. Today, loans can be made for a smaller percentage of a property’s value, with increased safety from bigger downpayments. For the next several years, we believe we will be able to originate prudent loans, secured by quality real estate, while locking in interest rates higher than those currently available from most fixed income investments. In Terra’s view, the risk is down, our interest rates are already high, and we believe there has never been a better time to be a lender. 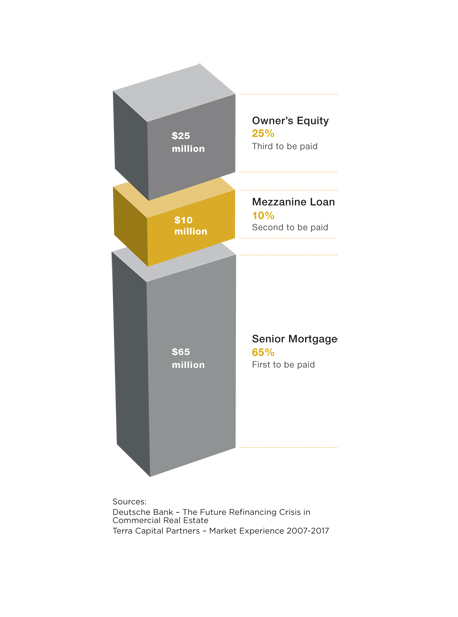 The loans that Terra 6 makes will include first mortgages and "mezzanine" loans. This latter category has constituted the majority of Terra's lending activity over its history. When a property is sold, the first mortgage is paid off first, then the mezzanine loan is paid in full, and finally the property owner gets the remaining sales proceeds. The owner receives nothing unless and until the mezzanine lender is paid in full. This is true whether the owner is an individual, a REIT or a business. 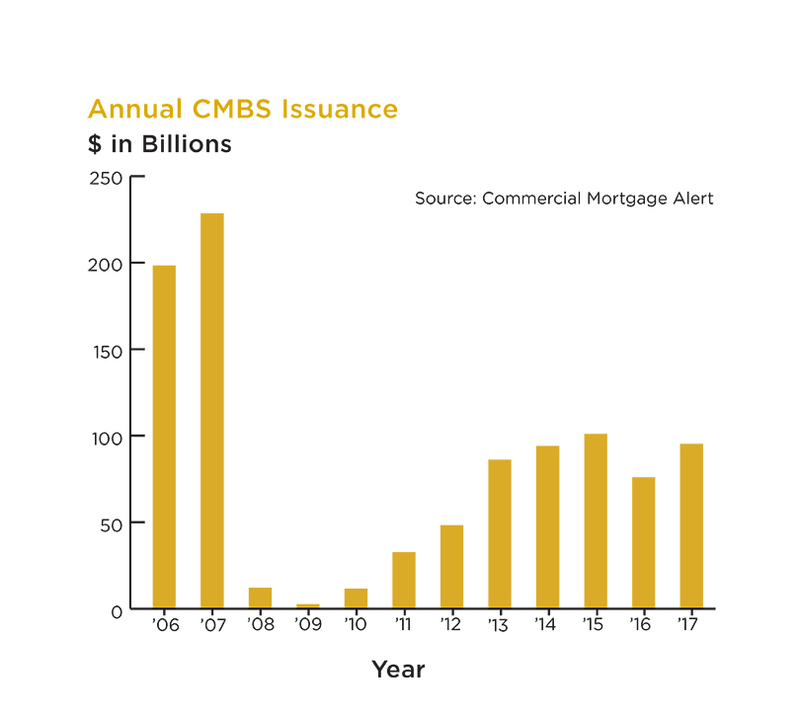 The volume of new 10-year commercial real estate mortgages was at record levels 10 years ago, creating a wall of maturities from 2015 to 2017. When they mature, these loans must be paid off and that requires obtaining a new loan. This high demand to replace maturing real estate loans, combined with limited supply, is on track to create a void of hundreds of billions of dollars over the next several years — and keeping their interest rates high. Several years ago, regulated commercial real estate lenders, including banks, substantially reduced the number of new mortgages they were supplying. We believe many did so because they had suffered losses in the value of the assets they were holding and were at risk of having insufficient equity to meet their regulatory requirements. The supply of new mortgage loans has yet to fully recover. During this same time, the securitizations that had come to provide the funding for about half of U.S. commercial mortgages also scaled back and also have failed to recover, as shown in the chart at right. 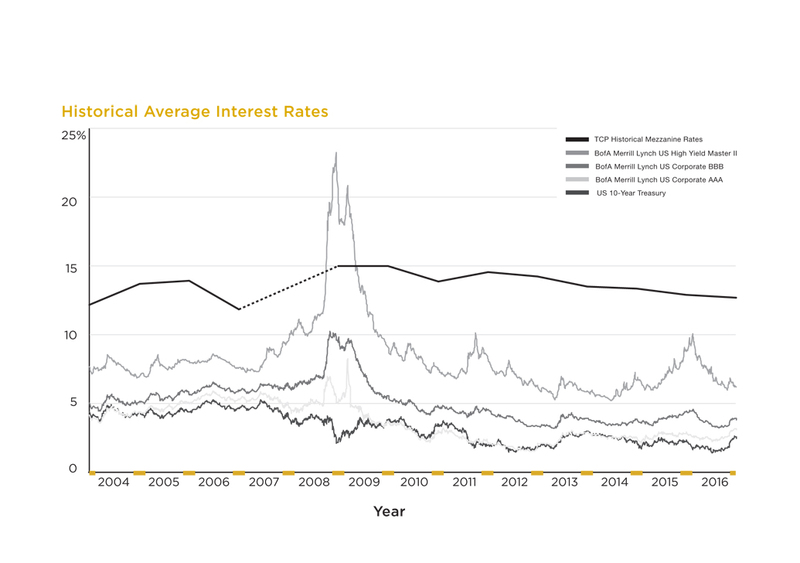 Rates for the real estate loans in which Terra specializes did go up and down with other interest rates, including corporate bonds, several years ago. Following the financial crisis, however, they have followed a level course while other rates have dropped. We believe this happened because "mortgage factories" closed down and real estate loans like those made by Terra have been in short supply. Thus, in our view, in the wake of the financial crisis interest rates earned on real estate mezzanine loans no longer followed other interest rates and instead came to reflect simply the lack of supply of a particular type of loan that is required regularly by some borrowers. This information does not constitute an offer to buy nor an offer to sell any securities. While the information contained herein has been obtained from sources believed to be reliable, its accuracy and completeness cannot be guaranteed. Reproduction, modification or any use of this material is prohibited without the express written consent of Terra Capital Markets, a member of FINRA.